Sorry I've been quiet for a week. I have had the worst illness I've experienced in quite a while. Not flu, but some sort of virus, and it completely knocked me out. Literally. I actually spent 3 days in bed which I never do when I'm ill. I usually still try and get up and potter around. I did make it out on the Cotswolds trip, but was starting to feel a bit off then. Thought perhaps I'd done too much walking and got too much sun. I should have known it was something more serious when I didn't put up a fight when Rob said he hadn't picked up the camera. I never go out without the camera. We did have a lovely day though. Nan and Grandad treated us to dinner for taking them out, both Broadway and Bourton had local fetes on. I came back with so many ideas for things after being inspired by the lovely gift shops including my favourite Christmas shop. 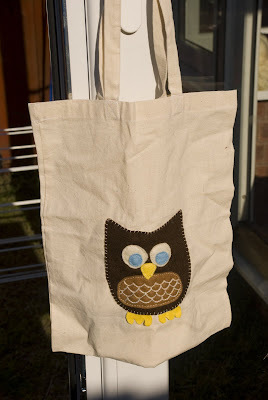 Now I just want to make Christmas decorations (despite the heatwave!). The next day, I was completely wiped. I slept most of it away. The following days are a blur of aches, pains and too much daytime TV. I didn't even have the urge to pick up something simple like my crochet. It also means I have now missed my return to work, which will make it all the harder when I have to get up this next Thursday! So, I'm almost back to my old self. I've still got a bit of a sore throat, but feel like a human again. 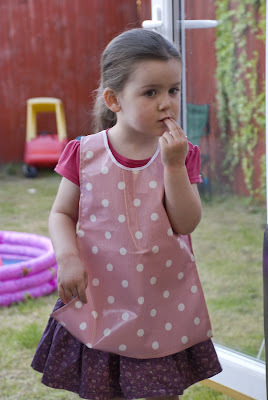 We spent some time sitting in the sun, Alex with her paddling pool out, Rob fixing his bike and me finishing off a book I've been stuck in the middle of for ages, then polishing off a second one which held my interest better (both jamespatterson. Love his books). We also had a mini BBQ for Rob's best friend (and Alex's Godfather) because he turned 30 today and we made him some cards. 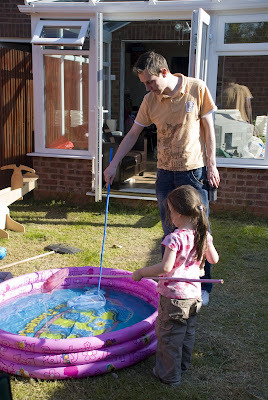 That's Alex and Uncle Anthony (above) fishing for marbles in her paddling pool! 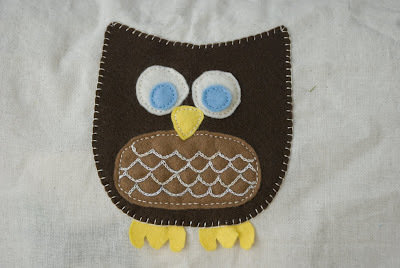 As you can imagine, other than that, there is very little to show craft wise, and I feel anoyed that I've lost a week, but I did finish stitching the owl on Alex's Library book bag (which could do with an iron) and sew her new coverall together. Hope you've had a lovely day in the sunshine!